The plot of the book is quite simple: Hazel is a girl with terminal cancer. She has been terminal for years, living with cancer-damaged lungs courtesy a miracle drug that has extended her life into her sixteenth year. In the “Literal Heart of Jesus,” a church basement where her teen support group meets, she encounters Augustus, a boy who will change the course of her life. “The Fault” is a book about living with cancer, dying from cancer, hating cancer. It is a story that others have tackled, but none so well. It is poignant without being maudlin. It is sad, in places, with no artificial hand-wringing or attempts to wrestle gulping tears from its readers. But neither is it cold or distant, having been told in the likable first-person voice of its central character, Hazel. She and Gus struggle, trying to find bits of normalcy, amidst the unfairness, the strangers’ stares, and the Cancer Perks. I rooted for them, was moved by them, but more importantly, believed them. 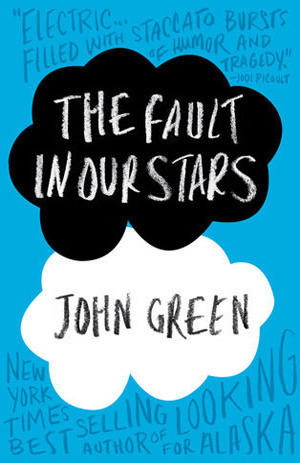 The beauty of the book is John Green’s ability to write real characters. Hazel is a real girl, Gus is a real, though charismatic, boy, and I cared about them. There was a point in the book where it slowed, but not to the point of boredom, rather to the point of reality. Others call it a comedy, but it’s funny in the way that life is funny — not through situations, but via people who make it worthwhile. If you’re looking for something to weep over, there are other books for that. Both Hazel and Gus would roll their eyes at you if you did. But if you want to understand what it’s like to try and live — and fall in love — while your body is insistent on betraying you, try this one. The Cancer Institute is near my job. They have a huge new office complex that looks as if they earn a commission on cases of cancer. I am almost certain they do not. It is a good book, but one I probably should not have started when I was having random, mysterious pains. Off to the next book, Railsea. “Keep writing Bill, I’m still reading.” I’m having that put on my tombstone.